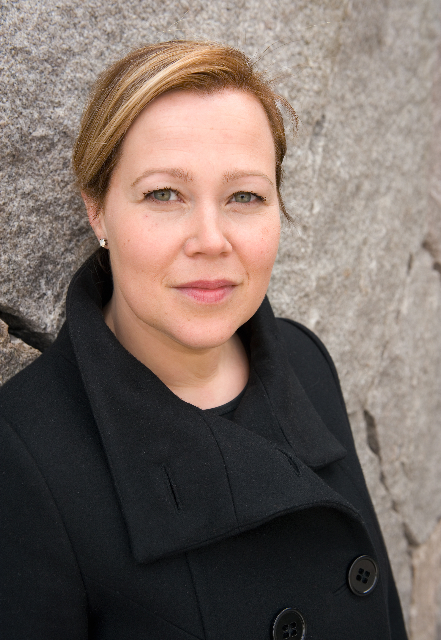 Congratulations all Sonya Hartnett fans in Sweden! 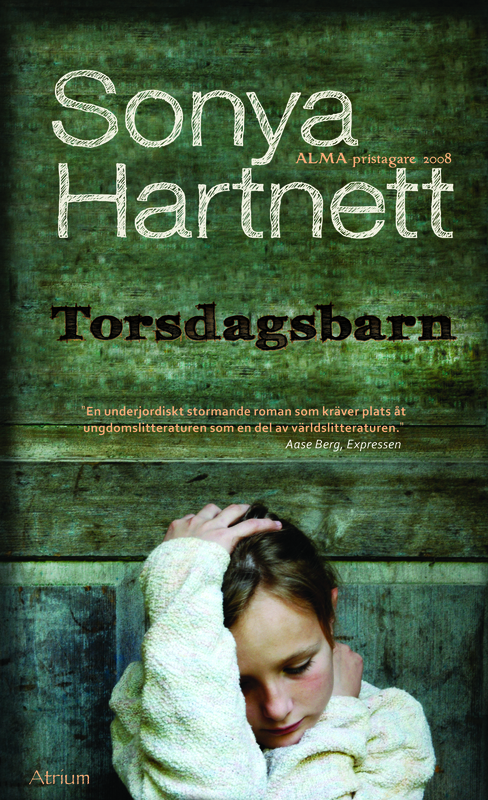 The book Torsdagsbarn (Thursday’s Child) written by the 2008 ALMA recipient Sonya Hartnett, have been released in paperback in Sweden by Atrium Publishing House. The book is about the odd and poor family Flutes struggle to survive during the 1930s Depression, and is considered to be Sonya Hartnett’s international breakthrough. Atrium also publish a Thursday’s Child reading guide (in Swedish), available here. Earlier, the Astrid Lindgren Memorial Award have published reading guides (also in Swedish) for Sonya Hartnett’s books Jag är djävulen (The Devil Latch) and Pojken i soffan (The Ghost’s Child), available here. How do you view your new assignment as jury member of the Astrid Lindgren Memorial Award? – It is great fun and such an honor to be part of this important award! The prize has over the years highlighted important writers, artists and organizations, and the interesting candidates reinforces children’s and young adult literature. What is your relation to Astrid Lindgren? – I think my relationship with Astrid Lindgren is quite common for people in the Nordic countries. Her books are a part of my childhood, and have given me important reading experiences. As an adult I have continued to read her books for my son. Reading her books as an adult is also a great experience and gives entirely new, often surprising perspectives. Right now you´re on summer holiday. What books will you bring to the hammock? – We read a lot aloud at home, inspite of the fact that my son is 14 years old. At the moment we read much science fiction, The Hunger Games by Suzanne Collins is the last book read. I have for myself read books by the Japanese writer Haruki Murakami. 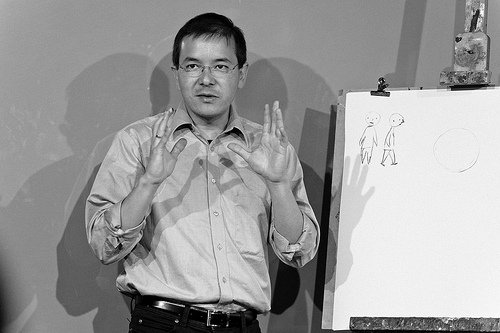 Shaun Tan holding a workshop for thirteen year olds at the House of Culture in Stockholm. During the award week in Stockholm, journalist Michelle Pauli from British national newspaper The Guardian met Shaun Tan to find out what young Swedish fans think about his work. She also participated in Shaun Tan’s workshop with children at the House of Culture. Now her interview is available at the Guardian Children’s books podcast. Don´t miss it! Link to podcast here. The interview was part of a two day program for international journalists arranged by the Swedish Institute and the Astrid Lindgren Memorial Award. The main focus was children and children’s rights. The program included meetings with BRIS (Children’s Rights in Society), Swedish Arts Council, Swedish Institute for Children’s Books and Kamratposten, an over 100 years old Swedish magazine for teenagers. Pettson and Findus and many more! If you are passing through Småland this summer, make sure you stop of at Astrid Lindgren’s childhood home, Näs in Vimmerby, to see a unique exhibition of the Swedish author and illustrator Sven Nordqvist’s work. Throughout the summer you can meet Pettson, his cat Findus, Mamma Mu and other Nordqvist characters. This exhibition is for both children and adults and presents original paintings, sketches and manuscripts that are rarely on view. The award-winning book “Where is my sister” has its own space and Nordqvist’s early prints are also on show in another section. 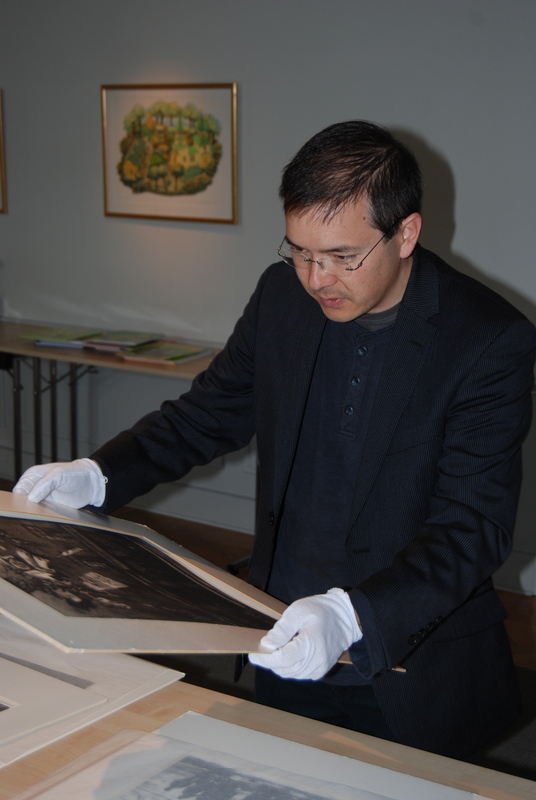 This year recipient of the Astrid Lindgren Memorial Award, Shaun Tan, was delighted to be able to view part of the exhibition when it was under construction on his visit to Vimmerby in May. The exhibition will be on display until the 2nd of October.